The ACC Coastal division was a tight race with various contenders, but Pittsburgh’s four game winning streak after a close loss to Notre Dame propelled them to Charlotte. 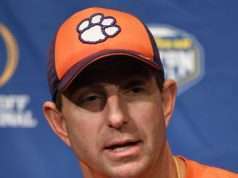 Coach Swinney compared the Pittsburgh offense to Boston College but with less focus on the tight ends. Qadree Ollison and Darrin Hall are two excellent power backs that can wear a defense down over the course of four quarters, and they are the engine that drives the Panthers’ offense. Pittsburgh has rushed for 2792 yards (5.8 per play, 481 attempts) while only passing for 1841 yards on 271 attempts. Keep in mind that they lost last week 24-3 to a struggling Miami team. They struggle on third down with a 39 percent conversion rate, and have a red zone success rate of 79 percent. That contrasts sharply with Clemson’s 91% red zone success rate and their 44.6% third down conversion rate. Pittsburgh’s defense allowed 27.8 ppg (71st nationally) throughout the year, but in November their defense has improved to 18 ppg (20th nationally). Pittsburgh is built to win an old school, running game and defense style of game. The problem for them is that Clemson matches up extremely well against Pittsburgh (they consist mostly of three-star players). 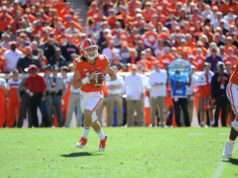 Clemson’s high-powered offense can put Pittsburgh in the hole early, and that in turn would take away Pittsburgh’s advantage of running the ball and force them to throw to win. Oddshark’s projected score is 53-19 Clemson, the over/under is 52, and Clemson is favored by 27.5. 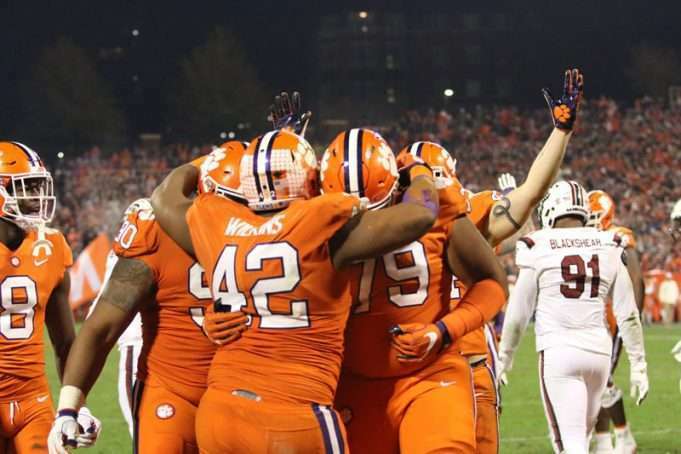 Whereas South Carolina matched up well with Clemson and could exploit the Tigers’ weaknesses, the Panthers play right into the Tiger’s strengths. 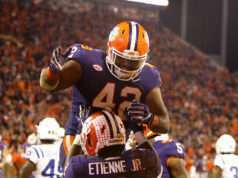 While it is college football (an upset prone sport), this game is heavily in Clemson’s favor.